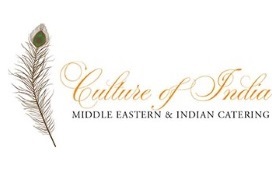 Welcome to Indian Catering Services! Indian Catering Services Pte. Ltd. is Singapore’s leading one-stop portal for people seeking Indian buffet catering services and food catering services from Singapore’s top caterers. We assist people to search for their desired Indian catering menus as per your budget, needs and number of guests. Our online portal allow your guests get a delicious dining experience of rich and spendthrift Indian cuisines, that has freshness and aroma of sparkling spices and secret of traditional cooking soften in it. Occasion might be any such as family or friends’ get-to-gather, house warming, corporate event, wedding, birthday, anniversary, kitty party, personal event, communal event and much more our online portal is being hired to ensure the magnificent success of your party. 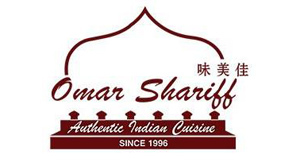 Since 1996, we are serving Authentic North Indian cuisine to our valued customers. Brinda’s proudly presents South Indian, North Indian and Vegetarian Menus. Our menu includes vast variety to choose from to give a royal feast to your loved ones. CURRY GARDENn (yes with double n) has been reviewed as one of the best Indian restaurants in Singapore also offers North and South Indian catering Services. Taste Of India promises to bring you the freshest, best quality ingredients to make your catering experience incredible. You won't find a better restaurant elsewhere for dine and catering services. Culture of India Catering Pte Ltd is an amalgamation of ideas and spirit of our team members who are passionate about food. We love food and only strive to serve only the food we want to enjoy ourselves. Having over a decade experience in catering and providing other wedding services, we are positioned as one of the leading Indian caterers in Singapore.